Volunteer Open Day - Killenaule Tuesday 18th September St Mary's Hall 11am to 1.00pm. 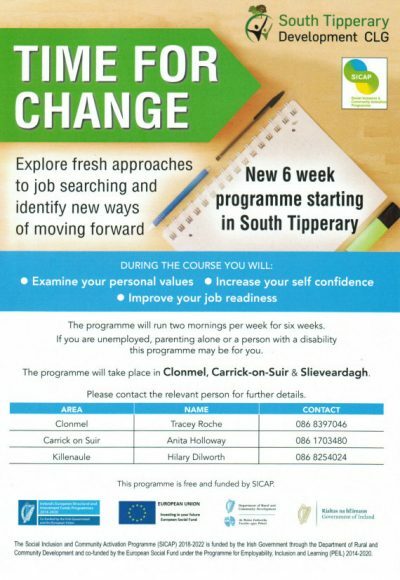 TIME FOR CHANGE New 6 Week Programme starting in South Tipperary Explore fresh approaches to job searching and identify new ways of moving forward. 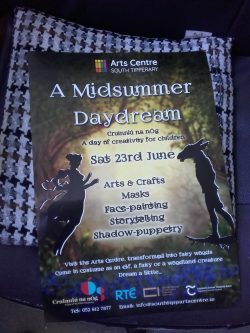 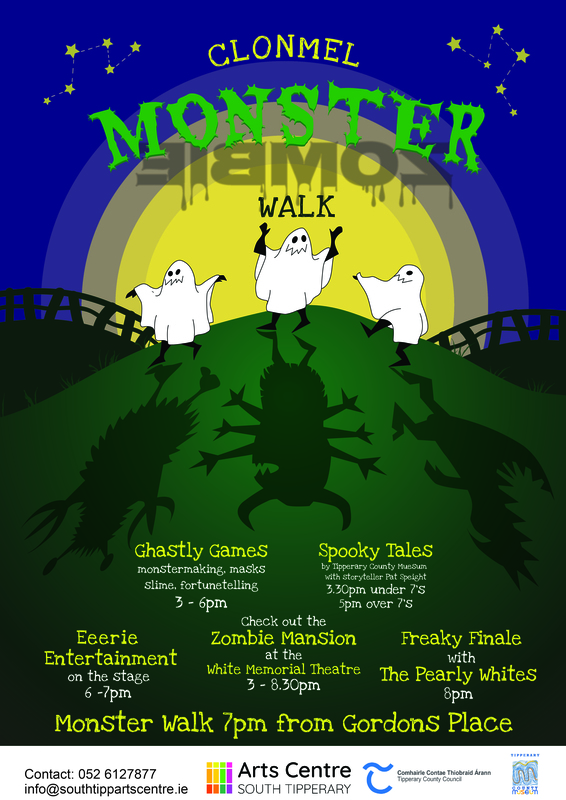 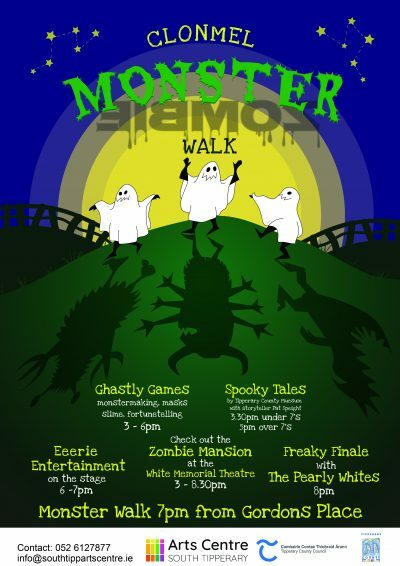 Tús participants on hand to transform South Tipperary Arts Centre into a “ Midsummer Daydream “ venue for all children in South Tipperary on Saturday 23rd June. 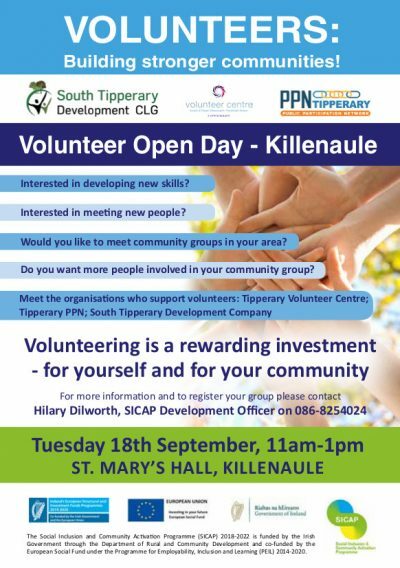 Tús participants giving a hand were Alan Wells, Sally Fennessy, Elizabeth Bartley & Robert Vickers. 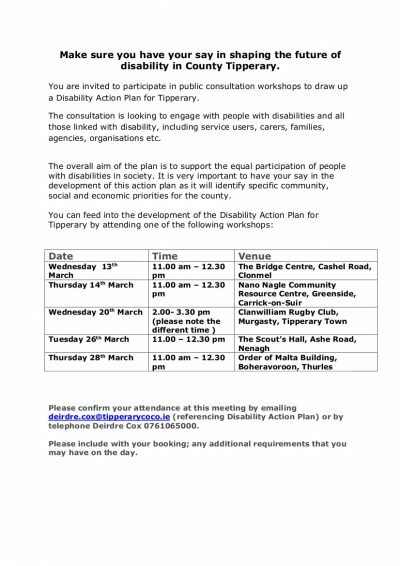 Vacancy : Social Inclusion Development Officer: Carrick On Suir. 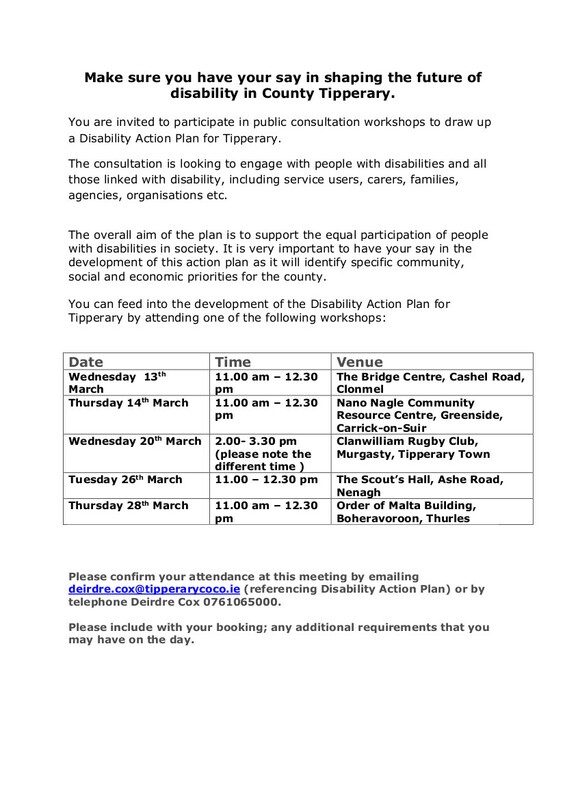 Comments Off on Vacancy : Social Inclusion Development Officer: Carrick On Suir. 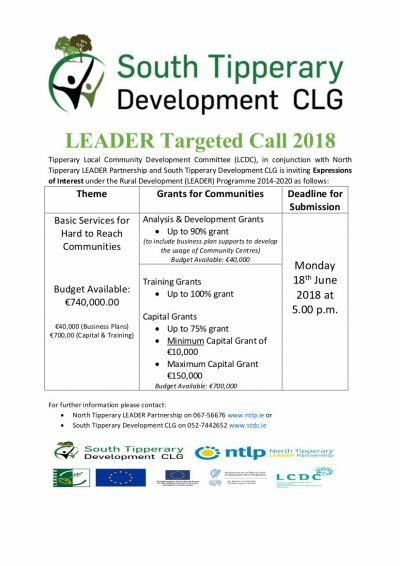 “Reminder to community groups working in hard to reach areas: Closing date for Expressions of Interest for LEADER funding for Basic Services is Monday 18th May. 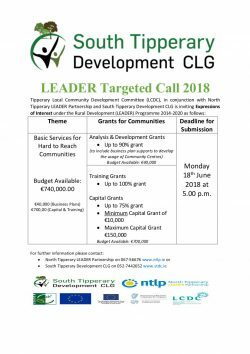 Contact us on 052 7442652 to discuss further.